Meaning a case in Germany, Italy or France, which asked the ECJ for a determination on an EU competence area (only in its jurisdiction & scope, not everything), shapes the body of EU case law across all 28 member states. The same is true of the UK asking for a determination. Now, the key thing to remember is currently the UK's CFR depends on the EU CFR, which is an implicit deference to EU case law. That means when we remove the CFR (as per the EU Withdrawal Act 2018) we remove the CFR. That would be "OK" if all case law was UK case law. But it's not! It's cases requested of the ECJ by France, Germany, Italy etc. A determination that affects the body of EU case law and the member state, only. As you can see from the graphic, the vote to leave destroyed disabled rights, children's rights etc. All Leave voters can now have their kids rights violated. Eg in care, mental health facilities or Juvenile institutions. That deserves a round of applause. That's EU citizens in the UK. 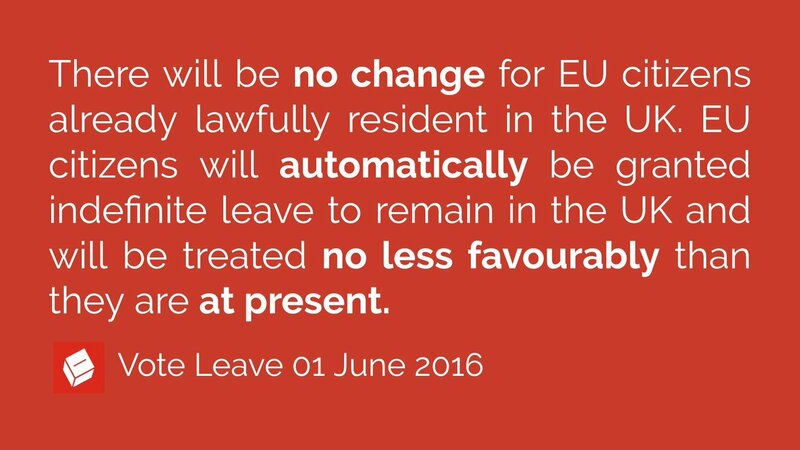 What's more, UK citizens in the EU won't be affected by that loss. Since the EU respects its own law & isn't losing the CFR. Hence UK Citizens in the EU will have their rights protected under the CFR. Creating an asymmetry between EU-27 and UK. - ICO has a role, but UK won't remain compliant with GDPR as it evolves. & crucially, now we've lost the CFR, there is no protection for your data, enforceable past the ICO. @amnesty could never have brought & won this case. UK's surveillance regime is unlawful. Arguably, the ICO's remit, its reason for being, is being pulled from under its feet. But for now, managing UK's Data Protection Act 2018. Contracts & framework agreements have been signed which defer to GDPR as written in to UK Law. But, it won't evolve as GDPR evolves. Making an adequacy decision, less and less likely over time. As the EU accelerates away from the UK in its data security principles. They've worked hard to ensure 1984 doesn't happen. While we jump into the lion's den. There's more to this thread. @markpalexander Workers are leaving jobs at a faster rate than jobs are going, the latter then pushed by the productivity loss of replacement domestic staff. Creating step changes in unemployment. Like here in Greater Manchester. @markpalexander The net result is this 'looks like' a dropping unemployment rate. But that snapshot misses the transient nature of the workers AND the work. And in a relatively short space of time, this climbs. The next economic shock will be tariffs & up-front VAT. That's not the reality. If we look at actual data, instead of newspaper articles, we can can see that the only people in surplus are immigrants. ^Those are Nursing & Midwifery Council figures on first time applicants from the EU. In addition, there has been a steady stream increase in the number of EU nurses leaving. Meaning the NHS is losing 300 experienced & senior nurses a month, net. Nope. I say that because the ECJ does not interpret it that way. As it considers a private service, completely differently to a public one. To understand that means having to understand how EU & UK treats them & this isn't it. For the migrant rights project that I’m working on with @LawCentres I spoke with Jamila from @ATLEUnit about their amazing work seeking redress for trafficking survivors. Jamila gave me a mini-masterclass on trafficking compensation claims. Her positivity, despite the ‘hostile environment’, was refreshing. Now is the time for clarity from Her Majesty Government about us, EU citizens in the UK. You are renowned for your "go home vans", your "climate of hostility" against foreigners you believe are here illegally. You claim you love us but as my local MP, your chief whip told me, "no way to stay in Single Market" because of migrants. You proposed in your negotiations with the EU status after status. 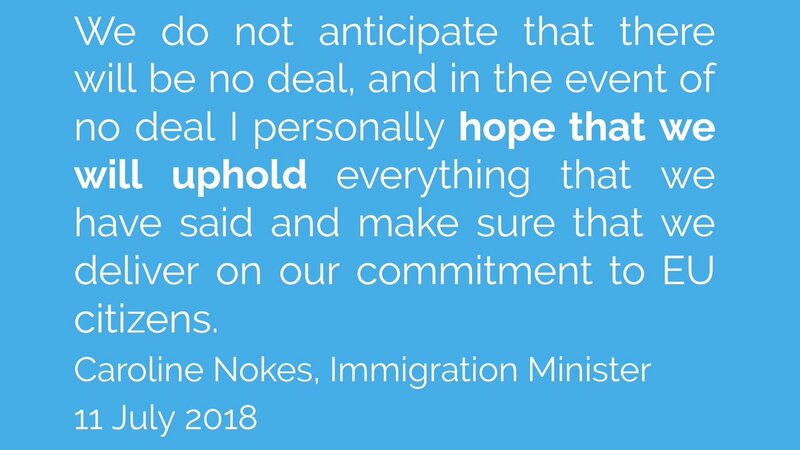 Sure, your proposals have improved but there is still much uncertainty as to who exactly will have the right to stay in the UK. Your definition of "legally" can mean many different things.